Most of you know Blue Moon Kites by the incredible sport kites Ken McNeill has made through the years. However, Ken is a master at building single line kites such as the Ichiban, Reprise, & 61/49, as well. I purchased a 61/49 from Ken last year & after flying it, I understand why its become such a staple in so many kite bags. Single line flyers love the Ichiban & Reprise as well as they are both excellent flyers & well-designed cellular kites. 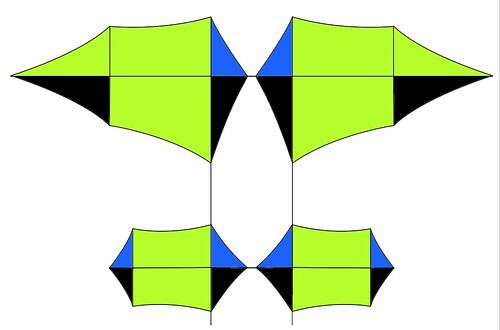 What is amazing to me is that Ken has taken the beauty & complexity of higher end cellular kites (i.e. : Bobby Stanfield) & has distilled them into much simpler construction & assembly, while maintaining the beauty & grace that these kites provide in the sky! The Vixen is a heck of a kite!! ok ill be nosey and ask, how much? 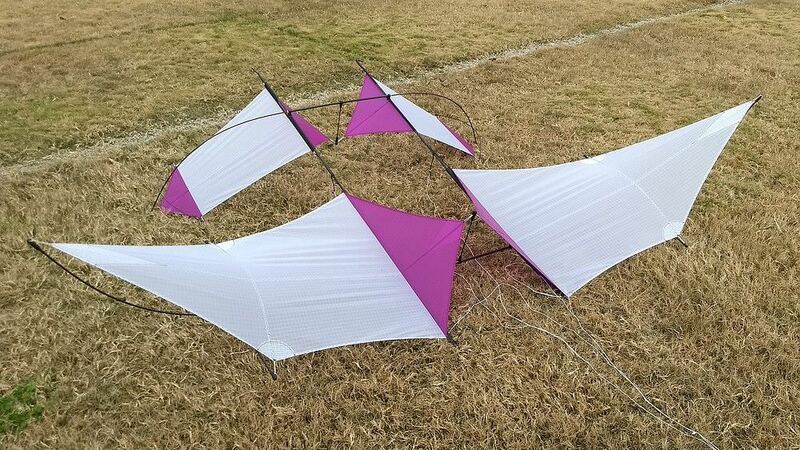 Had a chance to fly this kite at the Blue Ridge Kite Festival last weekend, and it's fantastic! The winds were fluctuating between 1-8 mph most of the day, so these were far from ideal conditions. That said, this kite has some serious low wind abilities. It's balanced well enough that when the winds dropped down to nothing it was one of the last kites still playing in the sky, though at that point as more of a glider! It took a bit of tuning with Ken's help, and certainly true gliders will do this better, but it has the ability! In fact, it's really easy to hand launch by just tossing it away from you backwards, and giving it a tug when it hits the end of its glide. And when the winds did pick up, the Vixen was perfectly happy. This kite has a very nice wind range. This will be mine, soon. Bob, thanks for your kind words. I'm glad you're enjoying your Vixen, it's been a fun project. Thanks Steve and Mark, for helping get the Vixen "off the ground". I have a few highish-end cellulars. What Ken has accomplished here -- in terms of aesthetics, design, build quality, and value -- is quite remarkable. I'll follow up again after it's spent more time in the air. Very nice looking. Reminds me of my Cody, slimmed down considerably! Would love to see it fly. Are there any videos of it available yet? Hey it is MattBush!!!!! WOW!!!! welcome back! Thanks! No "official" video yet, and it's going to be a few weeks before I'll have a chance to shoot anything. I'm hoping one of the new owners will share pictures and/or video.